Naval Aviation celebrates 100 years in 2011 and here at Custom Challenge Coins, we would like to recognize these true hero’s that make up this elite group of service men and women; The Navy, Marines, and Coast Guard. Thank you to the Sailors, Marines and the Coast Guard men and women for using CustomChallengeCoins.com for your coin needs. We would also like to thank you for your immeasurable sacrifice to serve and protect. As we reflect upon the accomplishments of this first class maritime force we will discover that from the first landing of a plane onto a ship by Eugene B. Ely to the the first crossing of the Atlantic, to the War in Iraq, many milestone have been made possible due to the superior training, unrelenting bravery, and volunteered personal sacrifice that keeps our homeland secure and its occupants safe. We are honored to provide military coins for such an elite group of men and women. As we honor all service men and women deployed around the world we must also honor all who have ever been a part of this truly selfless, elite group of men and women whom many have sacrificed their lives to protect our freedom at home and to help spread freedom abroad. The Celebrations and Honoring kicked off this year in San Diego with what was said to be the largest military parade since WWII. Many events are scheduled around the country, and we suggest that all attend as many of these truly awesome events as they can so that we can show our gratitude and appreciation for all that has been sacrificed to protect us in the past, the present, and for future generations. If you are unable to attend any of these centennial events, be sure to give thanks to all you know who have been a part of Naval Aviation’s history and Naval Aviation current service men and women. Bravo Zulu to all who have ever and will ever be part of Naval Aviation’s support in war-time and in peace time. God Bless and Thank You! This entry was posted in History and Gratitude by Admin. Bookmark the permalink. 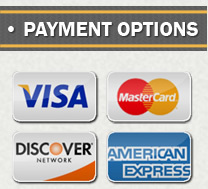 Please inquire about additional payment options available.